Nearly everyone has heard of the Hubble telescope. It may be less than eight feet long – but after 23 years, it still gives us not only a great scientific insight into the workings of the universe, but also some of the most incredible photos ever taken. Below, you’ll see ten photos I found to be among the most amazing. 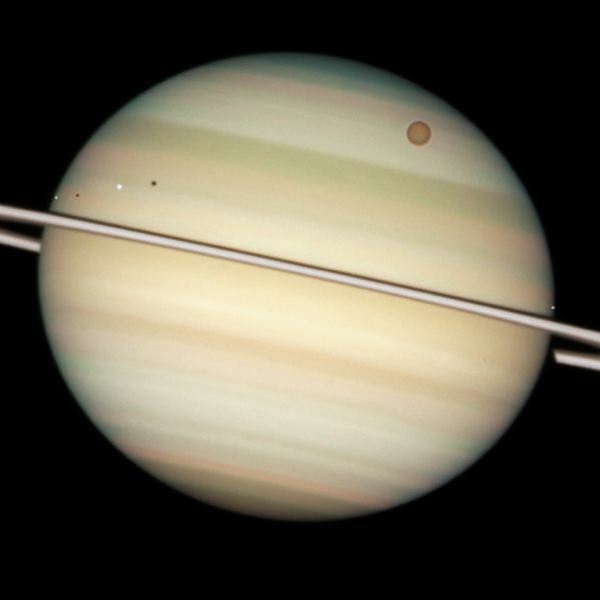 Saturn with four of its moons; Enceladus, Dione, Titan and Mimas. This picture was taken in 2009; it clearly shows four of Saturn’s moons. From left to right, you can see two small moons, Enceladus and Dione, with their two black shadows falling on Saturn’s surface; the larger orange moon Titan, which is about twice the size of our Moon; and at the very edge of the planet, the icy Mimas. The Hubble telescope revealing some of the oldest stars in the Galaxy. I had to check several different websites before including this photo in the article, as it seemed to good to be true. The Hubble telescope looked into a small, dust-free corner of space – letting us see some of the oldest stars in the Milky Way. This will allow scientists to learn much more about the birth and growth of the Galaxy. 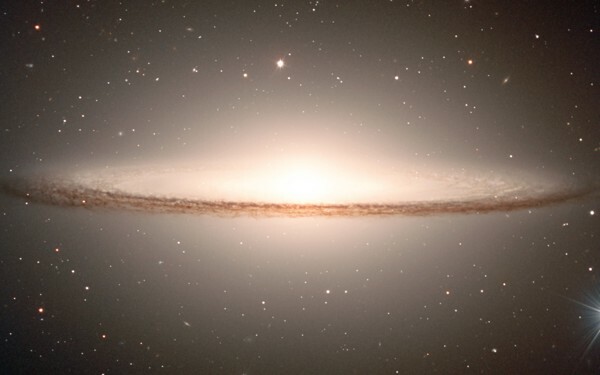 The “Sombrero Galaxy”, one of the largest objects in the Virgo cluster. Nicknamed “The Sombrero Galaxy”, Messier 104 is found in the Virgo cluster of galaxies. It’s 28 million light years from Earth, and measures 50,000 light years across. It is one of the largest objects in the Virgo cluster, with brightness equal to 800 billion suns. Some think that there is an enormous black hole in its core, and that the cluster is moving away from us at 700 miles per second. 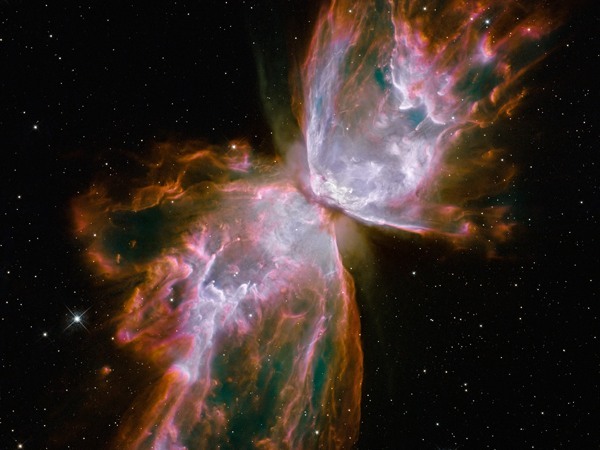 While NGC 6302 looks pretty, its ‘wings’ in fact resulted from a gas explosion. The lovingly named NGC 6302 lies in our own Milky Way. It came into being after the death of a star about five times the size of our sun. The gas explosion is 36,000 degrees Fahrenheit, expanding at 600,000 miles per hour. This photo was taken with a wide field camera in 2009. 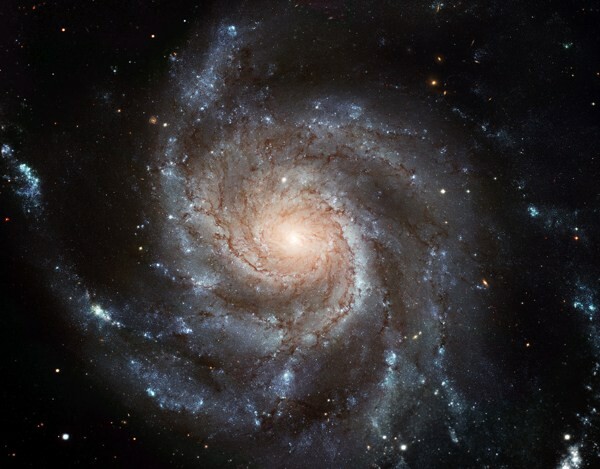 The Gigantic Pinwheel is twice as big as the Milky Way, and has over a trillion stars. This galaxy – located in Ursa Major – is about 21 million light years from Earth, and measures about 170,000 light years across. That’s about twice as big as the Milky Way. It is estimated that this Galaxy has over a trillion stars, with about 100 billion of them much like our own sun. The Lagoon Nebula is one of only two Nebula visible to the naked eye. Located about 4,000-6,000 light years away, in the Sagittarius constellation, the Lagoon Nebula is one of only two Nebula visible to the naked eye in mid-northern latitudes. But the naked eye won’t catch a glimpse that comes anywhere near the quality of this photo. 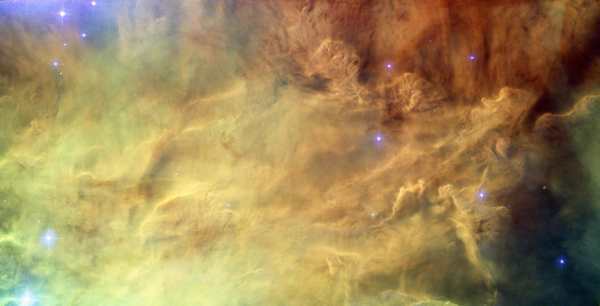 In this picture you can see waves of gas and dust breaking, which gives it the sandy look. R136, includes some of the biggest blue stars known. 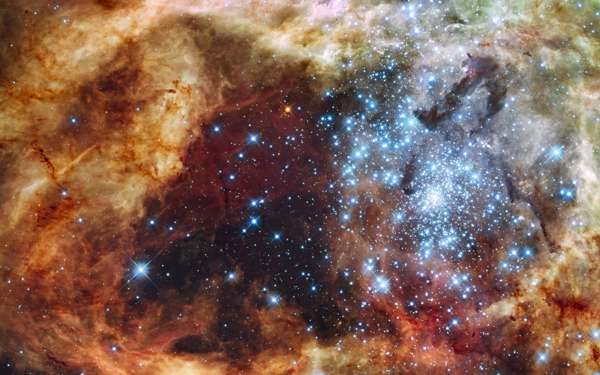 This is one of the most detailed photos we have from the Hubble telescope. Not only is this a relatively young group of stars, but some of the blue stars seen in the photo are among the largest we know: some are 100 times larger than our sun. This image was taken in 2009, and measures 100 light years across. 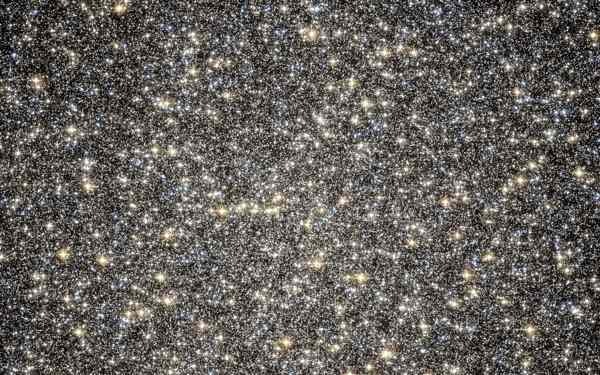 Omega Centauri is a densely packed collection of stars more than 17,000 light years away from Earth. This photo from 2002 shows one of the biggest of the 200 globular clusters orbiting the Milky Way: Omega Centauri. It is about 17,000 light years away from Earth. 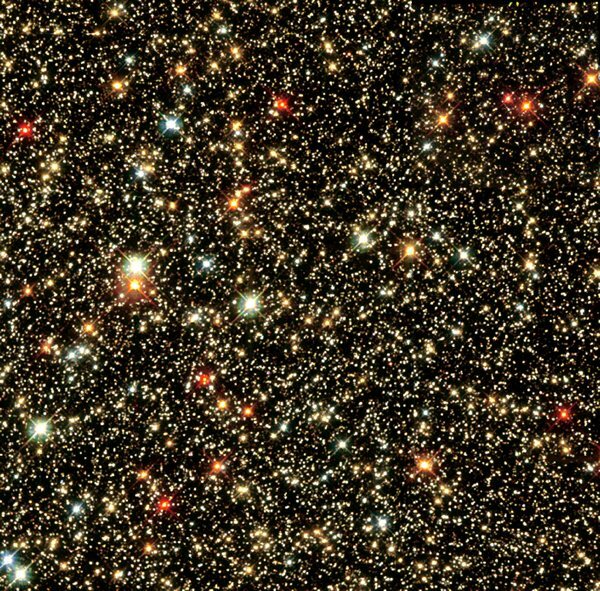 The whole cluster contains about 10 million stars – 2 million of which can be seen in this picture. About 90 trillion kilometers high, the Stellar Spire is a massive tower of cold gas and dust. This spire is about 9.5 light years high, and located in the Eagle Nebula. The pillar may contain newborn stars: some stars form when gas is compressed by gravity, while others may form due to the massive heat from neighboring stars. Thanks to two of the biggest space telescopes working together, here’s the sharpest picture ever made of the Galactic core. With so much mention of the Milky Way throughout the other entries, it only makes sense to finish with a photo of exactly that. Here’s a composite image of the centre of our galaxy. It was made by combining the infra-red camera and multi-object spectrometer of the Hubble with color photos from the Spitzer Space telescope. What you can see in the image is about 20,000 light years away, and 300 light years across.